I have covered a lot of new age music. That is putting it in its simplest terms. There is more to it of course and that is how I am able and willing to cover one piano based instrumental album after another. That thought brings me to the latest release by Edo Sanz, a self-titled instrumental montage covering 13 tracks. I can dub this as instrumental piano music but it is much more than that. I heard classical, new age and so many paces and rhythmic changes that this listen kept me engrossed throughout. Edo is a very talented artist, I stress the term artist. Each track is an artistic impression set to music. It makes you look at the title, the meaning and how the music can fit that description. Instrumental music has a way of becoming more cerebral than a track with vocals added. At least that is how it works for me. The opening track “The Alien's Dream” is a profound statement. It brought me images of a ballerina or hundreds of butterflies flitting around in an open field. These images are tucked away in our subconsciousness just waiting for something to coax them out and bring them to life. Good instrumental music accomplishes that. The most intriguing tracks for me where “Muñeca de Trapo” (Rag Doll) and “Per l'acqua” (For Water). I immediately want to find a translation and then see how it can relate to the track. I take it on as another artistic and cultural aspect in music yet to be discovered. Every musical genre has a culture attached to it, and this music is no exception. I applaud artists like Edo Sanz for putting himself out there offering an entire album of just him and his piano. It takes confidence, the willingness to take the risk and most importantly, pure talent. This is the kind of talent that one is blessed with upon their first breath and continues to blossom with each passing year. This self-titled piano excursion is diverse and filled with many colors, moods, and atmospheres. You have my promise it will keep you entertained from start to finish. It’s good to find new artists that I have never encountered before, and thus an album by pianist Edo Sanz sits upon my desk awaiting review. This is a real voyage through the crafted tones of the piano, so its time to settle down, we are about to cross over into the realm of Edo Sanz. This sojourn into music starts with the fluent and lively opener Gifted. There were times whilst listening to this that convinced me this was film score material, there is such a passionate narrative here that is really exciting. All aboard, the Train to Neptune is about leave the station. That lush sense of movement on the track Train to Neptune is very prominent in this piece, the performance style creates this with ease, but Sanz also manifests a charming and peaceful and somewhat scenic composition that is very addictive as well. The lyrically haunting Castle Ghost is now up; here you will find drama and suspense pouring from the castle walls themselves. This is superbly performed and in doing so Sanz plays light and dark on the keys, he adds a layer of sensitivity and then increases the intensity and tempo with consummate skill and style. On La Rosa we have a soft, but very melodic melody that almost teases its way into your mind and heart; this is one of the most artistic tracks off the album, and at well over 7 minutes long it is easily the longest composition from the release. Sanz employs a riveting sense of drama within the arrangement that makes it truly inspiring and very exciting to be a part of. Gone With The Storm is a fantastic opportunity to create something powerful and Sanz does not miss out on this chance, in fact he manifests something truly colourful and smooth, with a little added passion on the track too, we can literally feel ourselves being pulled along with the storm, much in the same way as Dorothy was in the Wizard of Oz, a superb performance can be found here. As we near the half way marker we come across a composition entitled Apophis' Last Stop...; now one could make an assumption that this maybe about the Egyptian god, but I think I may go with the asteroid named Apophis that was supposed to be heading for earth in 2029, if this so, this is amazingly clever, the artist has an onward sense of movement here that does not waver, a dramatic energy at times that seems determined to reach its goal, and perhaps the quiet departure at the end, sees the asteroid disappearing off into deep space once more. As we descend towards the end of the release we come across a charming and quite beautiful piece called The Aliens Dream, which in a way fits nicely after the last offering. The performance on piano here does indeed contain a dream like motif, with lounder segments that manifest for me a duality of musical thought and interpretation of the listener. Per l'acqua is our next port of call, and I believe that this can be translated from Italian to English as Water Carrier? If this is so then Sanz has created a wonderfully flowing narrative of music here, there is a real lightness to this track that makes it both attractive and quite appealing, one that literally pours from the piano with an abundance of energy. I found this next offering most intriguing and entitled The Hum. This, the second longest track from the album at just over six minutes long, has a mysterious energy about its construction and a really memorable melody as well. Sanz performance on piano is carefully thought out and sublimely played; this is my view is one of the most technical pieces off the release and executed perfectly by utilising a vast skill set on the piano, this is without doubt my favourite track from the album. something that once was important, but has now gone, but with a tinge of regret in the essence of the offering that is so brilliantly created. Once more Sanz performance deservers a very careful listen on this piece, he is a true artist, one that paints musical pictures through performance, a skill very rare indeed. There is something quite childlike in this next piece entitled Muñeca de Trapo, I am not sure, but I believe this may be translated as Rag Doll into English, again if I am correct, Sanz has manifested something very clever here indeed, a piece that literally dances with itself, almost like a toy that comes out of its box at night and dances to a tune and a melody, a dance that no one will ever see, but one filled with deep memories, if not, this stands alone as a wonderfully descriptive opus that is so well played and performed it is a delight to just listen to. Our penultimate offering is curiously called Crop Circles Inc. The enigma of the crop circle has long puzzled all manner of people over the years, I myself have seen a few, however musically, you really have to listen to this fun composition by the artist, he utilises every aspect of the piano to bring something to the musical table, that is quite unique. So we are here and about to walk through the last doorway of the release, but before we leave the artist, Edo Sanz has one more musical gift to present us with and it is called The Emptiness. This is probably the most ambient piece off the album and one that you can literally float with, a clever performance can be found in this final composition. If you are a fan of piano based music and you are looking for something a little special, something different perhaps, something unique, then you need to look no further than this album, Edo Sanz has created a compilation of musical narration that will hook you in and never let you go. 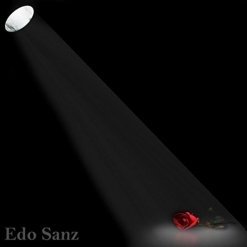 Edo Sanz by Edo Sanz is a refreshing, well-crafted collection of very classy solo piano performances. Edo Sanz is the sixth release from pianist/composer Edo Sanz, and is his first solo piano album. Born in Mexico City, Sanz grew up in a family of talented artists who inspired and ignited his own creativity. He started composing at the age of five, but stopped for a while to be in a rock band where he discovered different styles of music and learned to play other instruments. Sanz has returned to his beloved piano with a renewed passion and a desire to share his joy of making music with the world. This album consists of thirteen original piano solos that range from sweet and delicate to bold and powerful. It’s a fascinating and enjoyable introduction to a new artist on the solo piano scene. Edo Sanz begins with “Gifted,” a joyfully effervescent dance all over the piano keyboard. Light and carefree, it’s an energetic opener. “Train to Neptune” also moves right along, but is somewhat dreamier and more playful. “Castle Ghost” starts out in a somber mood that is almost mournful. The second theme becomes much livelier and more dramatic with frequent cross-overs into the deep bass of the piano - a favorite! 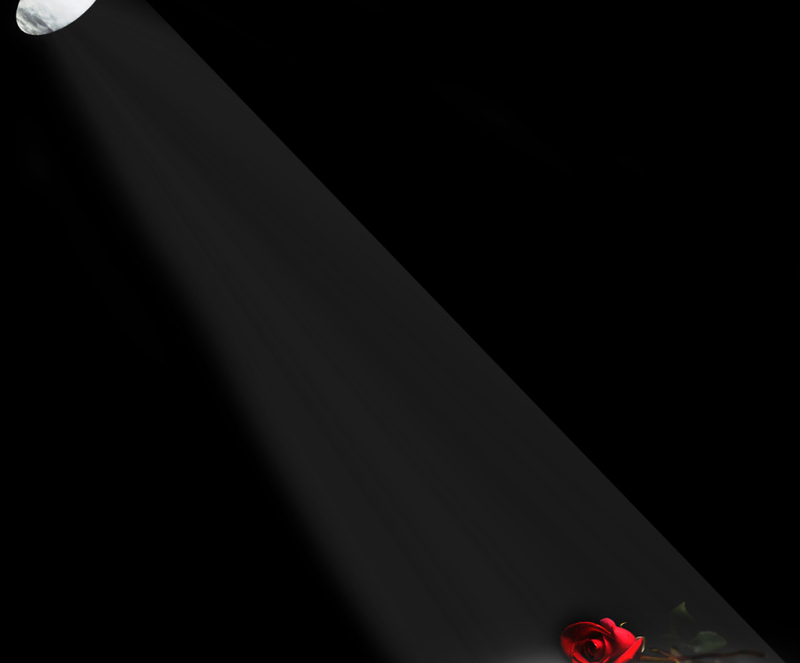 “La Rosa” is the longest piece on the album at just under 7 1/2 minutes. It starts out quietly and at a moderate tempo, expressing a reflective and perhaps introspective mood. Well into the piece, the tempo becomes much livelier and more jubilant as it swirls around the keyboard. The third theme is similar to the first, but is more intense. “Gone With the Storm” is another favorite with its flowing broken chords on the left hand and bittersweet melody on the right. It becomes very dark and turbulent in the middle and then lightens briefly before returning to the stormy theme and ending abruptly. “Per l’acqua” has a gentle introductory passage that leads to a variety of themes that range from quietly flowing to faster and more dramatic. This would be a really exciting piece on a piano with richer bass tones. I really like “Lapse” and the way it accelerates and slows down, expressing different emotions in a way that is almost conversational. It gradually builds to an intense closing section that fades out without resolving. Interesting! I also like the closing track, “The Emptiness,” which begins with a repeated motif on the right hand that reappears in various places throughout the piece. The next theme is much darker with a somewhat Middle Eastern sound. The repeated motif returns along with feelings of sadness and loss, becoming much lighter and more fluid before darkening and becoming more intense to the end. I haven’t heard any of Edo Sanz’s previous releases, but am looking forward to more solo piano music from him in the future! Edo Sanz is available from Amazon, iTunes, CD Baby and many streaming outlets.